Remember Pier Solar? We covered it quite some time ago, and also delivered the good news that the game was getting remastered for a HD release on the Wii U eShop. Things have gone a bit quiet on this front recently and the last we heard, the game was aiming for a March launch. WaterMelon’s President Tulio Goncalves has now adjusted this to April. On Wii U, we’re definitely putting the second screen to good use, a feature that will be exclusive of that platform — well, maybe not for long if we end up making it to the 3DS, but that’s for later. We planned a few functions for the second screen that will add to the gameplay; I’m sure the Wii U players will enjoy them. We’re hoping to release the game in April. We do have two brand-new games coming up soon born from the Magical Game Factory: Project Y for Sega Genesis and Project N for SNES. We want to see both projects made for the modern consoles as well. Besides the working projects we have many other game concepts to explore for the years to come, both for retro and modern platforms alike! 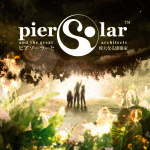 Would you be willing to support a 3DS version of Pier Solar? How do you feel about the Wii U release slipping by a month? Would you like to see Project Y and Project N come to Nintendo platforms? Share your thoughts with a comment below. No fighting in this game? Boring. I am looking forward to this game. That half modern, half retro look really doesn't do it for me though. Guess I'll see what it looks like on my TV but I'll probably stick with the full retro mode. Too bad there's no full modern look iirc. Wait ... Where are you guys seeing no battles/fighting ? The trailer ? The game does feature battles, as far as I know. They just didn't show any for some reason. I think I prefer it on my 3DS. I usually enjoy more RPGs on a handheld, too many hours using the tv is not very popular at my home. They have yet to show the improved battles for some reason, if you google the Megadrive or Dreamcast versions you can get a look at the battles. Tulio Gonçalves? Definitely a Brazilian or Portuguese. That's interesting to know. Anyway, old-school JRPGs are the best, and this is a day one buy for me. @DarkCoolEdge That's what off-TV play with the gamepad is for. Simply a "must have" for me! Been watching this one. Glad to hear that the Gamepad is being put to good use. Can't wait to get this one. Very cool. This reminds me I still need to devote some time to Earthbound! is it sad that the first screen at 25 second in made me already wanting this? I really wish they had shown some battles. But i will be keeping my eye out on this though. @ricklongo Yeah he's brazilian, talked a bit with him on watermelon's youtube channel when Pier Solar was only announced for the Megadrive, very humble and sympathetic fellow. Anybody else see some Chrono Trigger in there? It's the new old school i'm loving! Never could get enough 16 bit rpgs! God I remember this from back on mega drive.. Fun game but abit hard for me personally but I rly would like to see this on 3ds ..
@Spoony_Tech Yeah it has some Chrono blend in it and some other games too infact.. Have played the original on mega drive back in the day .. a heads up to ppl who wanna get the original, its expensive to say the least.. and I believe it has 2 versions on the megadrive with one release that features better sound I belive and a soundtrack.. Cant remember though but it was something along thoose lines. WaterMelon are such a cool company, it's great to hear that they're making use of the Gamepad for Wii U exclusive stuff! I still can't wait for their SNES game!!! I'll probably get both versions. I'll very likely get this. I for one really dig the enhanced look instead of dated 16bit. I found out about this game like 2-3 weeks ago and I pretty hype to play it. Hopefully they can port it over to the 3DS as well. 3DS port would be awesome. Let's hope it comes out someday. bring on project n and y to the wii u and 3ds! I was able to give this one a go a while back and it was a really solid title. I'm definitely picking up the Wii U version! Aww yeah, keep rollin', U, keep on rollin'! Looks fantastic, I would play this in 16-bit for sure! @divinelite @Kohaku Of course the game has battles. Search it on YouTube, the MegaDrive version has plenty of coverage. Nice very nice indeed i wish they would make a new wii u with a hard drive built in a 500gb to shore the games. @Luna-Harmony Ironically, I finally got an external 500 GB drive hooked up last night and have been nothing but impressed (and offloaded a bunch of stuff that I want access to if I am home, but not if I take the console somewhere). An new old-school RPG on Wii U.... Bring it on!!!! yes i think i will buy. and guys dont forget next week eshop cards at best buy are 20% off! I'm not a fan of the mixed hand drawn and pixel art style mode. 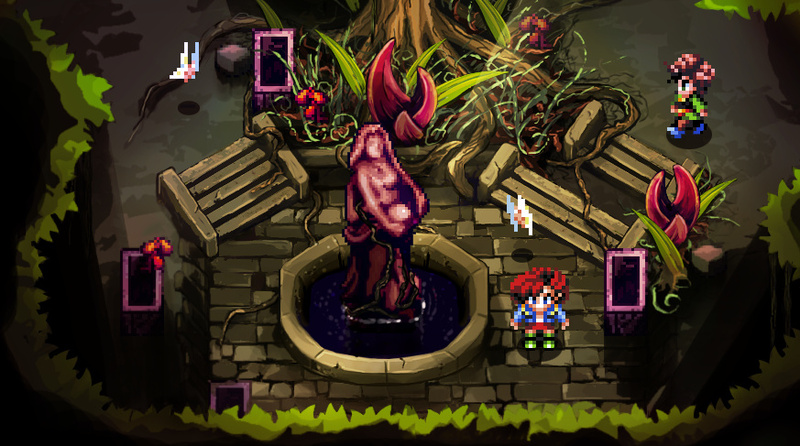 I'd rather see all pixel art of all hand drawn style...they sort of clash when viewed together. I'd buy it if was released on the 3DS. awesome i will buy both versions of the game if the 3ds is ever made. boring. but @umegames do u know when the best buy sale starts and ends? i dont want to miss it. its an awesome time to stock up on eshop funds for the next few months. On 3DS, hell yeah ! ill be buying this on wiiu! RPGs are few and far between on the Wii U so of course I'll be getting this game! I was afraid it was not coming because they left it out of their past Direct. I'll be picking this up day1 and I'm interested in those Project Y and Project N games.